"In Deviants, 'The eye alters all that it falls on.' And the eye is everywhere—in every poem and in the lyric essay, 'Fat Studies.' There is no escape, even in the darkness: 'It's true I like you better in the dark. / Deep dark. Where I can't even see your face.' And the eye is keen in its appraisal. What it sees is what is most often offered up for alteration—the female body. The poems and the lyric essay all deal in issues of body. These bodies are not, however, places of comfort and safety. Instead the body is dangerous: 'My heart is not a heart, it is a little nest of razorblades. I look soft, but if you touch me, your hands will be instantly pulverized, as if you had slammed them into concrete.' Or the body becomes something to escape: 'If it helps, I don't want to be myself / either—to slip out of this body when / when you enter, to exchange within the puff / of magic smoke my life for another. / Leave me other.' The body is in turns stark and lush and finally 'the body / is a planet you tilt / on its axis spinning.' Deviants left me both spinning and altered. It made me want to say, Thank you for helping me understand." 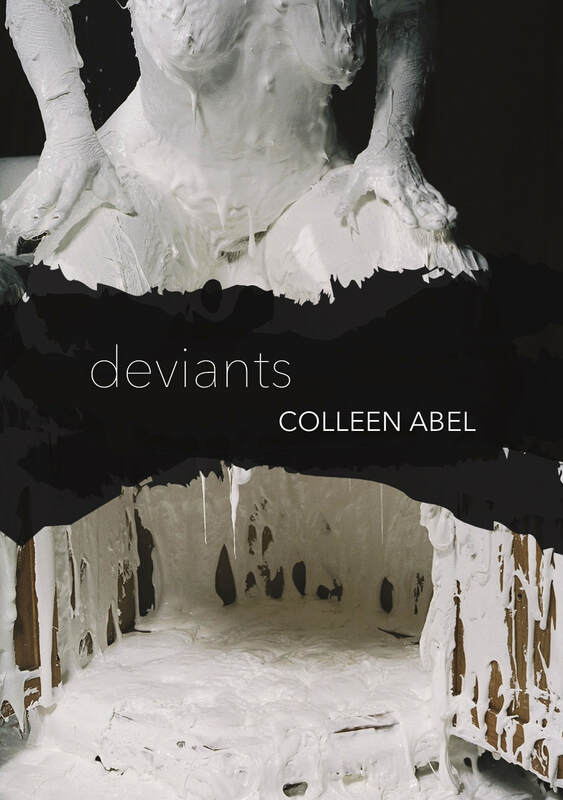 "Colleen Abel's wonderful book, Deviants, is mesmerizing—once I began, I couldn't stop reading. The speaker provides a moving account—sometimes heartbreaking, sometimes wry, and oftentimes both—of what it means to be 'fat' in this world. The central piece is called 'Fat Studies' with references to sociologists and humorous pieces about Jackie Kennedy. Ultimately, Deviantsis a beautiful book by a talented writer on material so many of us can understand and relate to, but oftentimes don't have the opportunity to read in this form."